High Bandwidth — 400MHz (–3dB) fully loaded. Control — Front panel & RS–232 (K–Router™ Windows®–based Kramer software is included). Desktop Size — Compact size. 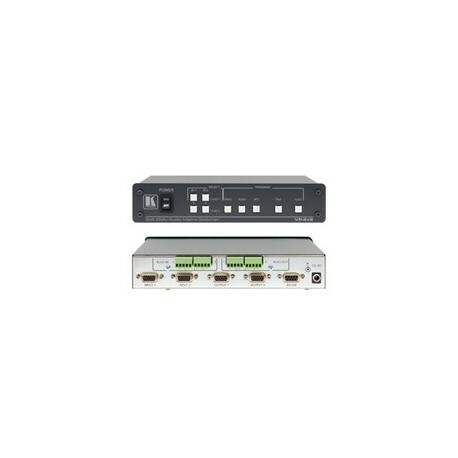 2 units can be rack mounted side–by–side in a 1U rack space with the optional RK–1 adapter. User manual for the Kramer Electronics VP-2x2, 2x2 Computer Graphics Video & Balanced Stereo Audio Matrix Switcher. 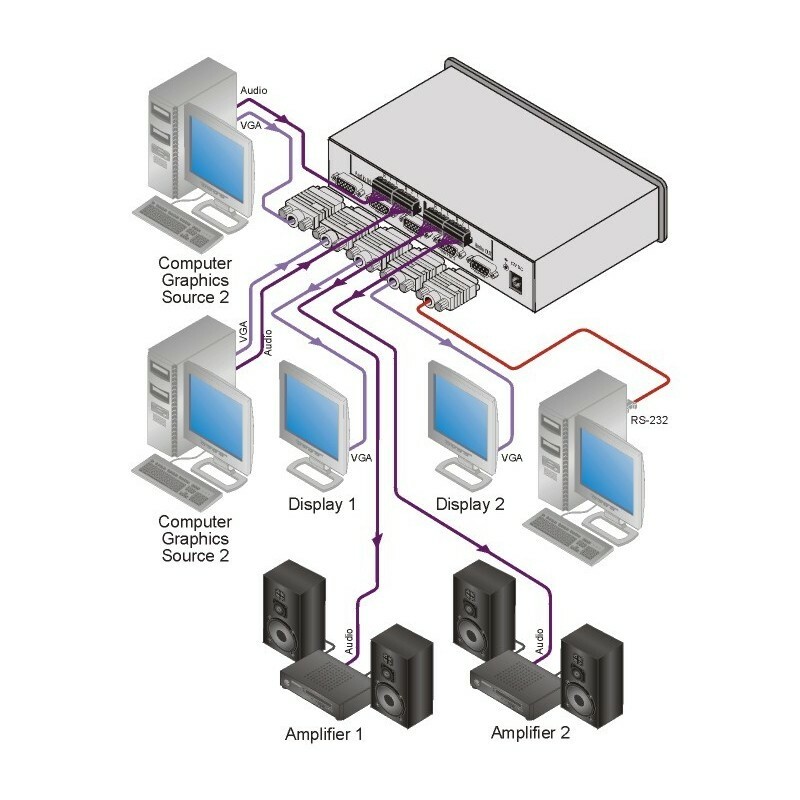 Technical datasheet for the Kramer Electronics VP-2x2, 2x2 Computer Graphics Video & Balanced Stereo Audio Matrix Switcher.